Home Love2love2love out of town Adventure on Valentine's Day! How do you celebrate your Valentine's Day this year? Romantic dinner date with candle lights? or Watching movie with popcorn and drinks? Ian and I try different kinds of celebrating Heart's Day! We are both excited to celebrate again the Valentine's Day together. I remember the first Valentine's we celebrated was way back 2007. Since Valentine's fall on weekday that time, we celebrate it with a simple dinner at Aristocrat MOA and have some picture taking of course. 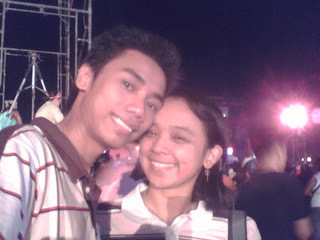 I also remember when we joined the Close Up Lavapalooza last February 10, 2007 at MOA open ground. It is an event where the Philippines will try to win back the world record of the most number of couples kissing together. Here is our official couple's number and some kilig moments during the said event. 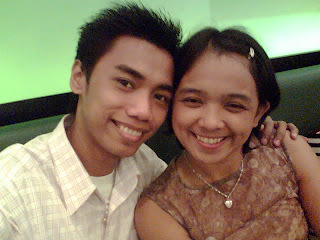 On the year 2008, we celebrated our Valentine's Day in simple but memorable. We dined at The Red Crab, Greenbelt 3 with a pianist that will play your requested song. It's so romantic I swear! This year, we both decided to celebrate our Valentine's Day in a little bit exciting. 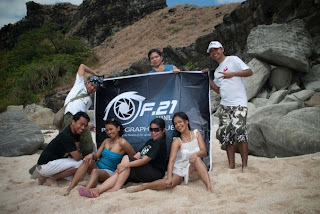 Our friends planned to have an out of town trip last February 13 - 14, 2010. Our destination was to watch Hot Air Balloon Festival in Clark Pampanga then straight ahead to Zambales for our Anawangin - Capones Trip. We are both excited since this was our first time to celebrate the special day out of town and also our first time to visit Anawangin which I think the popular place for Landscape photography. A week before the said event, Ian and I busy doing shopping spree for the foods that we will bring on our trip. In our list are the following: Junk foods, Biscuits, Candies and Water. The day has come, the day that we are all waiting for, February 13, 2010. Then after a glimpse and picture taking of flying balloon, we then headed at Jollibee Clark to have our breakfast. 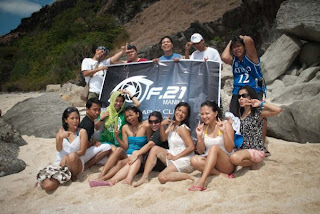 Then, we travel for about 1.5 hours to reach the city of Zambales. Check in at Wild Rose Beach Inn then straight ahead to Anawangin to have our lunch and start our adventure. We go off to Anawangin around 4:30pm and have our dinner in the resort and drinking session after. We wake up early to have our 2nd adventure. Breakfast served around 7:30am, then we all set and ready on board by 8:20am. We reached the Capones Island around 9:00am and start our photowalk and hiking to reach the famous light house. I think we consume 30 minutes just to arrive at the light house. But when reach the peak, all you stress, worries, problems and even the pain in your heart will sweep away. After an hour of exploring the light house, we decided to go back to the island to have our lunch and prepare our things back to Manila. We decided to leave the Wild Rose around 3:30pm and have some picture taking with Mama Tess. of course, wearing our pair shirt. We reached Manila around 9:00pm to be exact. Before the day ends, I've received text message from Ian. "Thank you for this special weekend. Happy Valentine's Honey.. Thanks for spending this special day with me honey. This is our 1st time to celebrate valentine's out of town.. Sobrang saya talaga.. 1st time sa Hot Air Balloon, 1st time sa Zambales, 1st out of town for this year and 1st longest U-Turn.. Haha. nakakatuwa kase dami na naman natin pics.. Thanks for the love and care that you always show me. Thanks for making our special day so memorable. You're the love of my life.. Valentine's will not be this happy without you. 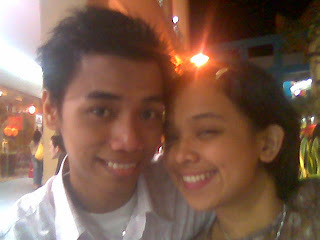 Iloveyou honey and I will love you for the rest of my life.. 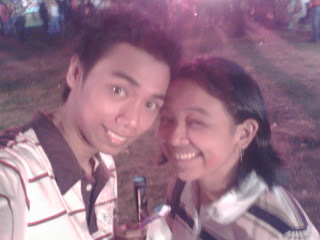 Happy Heart's Day Honey. 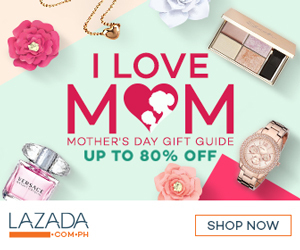 Iloveyou so much!Mwah!"